West Coast Swing for beginners can be intimidating. Underneath the infinite variety of WCS moves lay a small number of fundamental patterns. If you can learn to see the dance as variations on these fundamental patterns, it becomes incredibly easy to learn complicated movements. 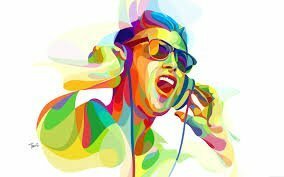 Different instructors will break the dance into a different number of basic patterns because they want to emphasize different elements of the dance. The list of basics that is taught in a beginner class, for instance, will probably include both a left side pass and a left side tuck. From a higher level of abstraction, however, we can think of both of those moves as part of the left side pass family. For the purposes of this article, we’re going to take the highest level of abstraction possible and break WCS into four fundamental patterns: side passes, push breaks, whips, and four-count triple pairs. Side Passes are six-count moves in which the follower moves from one end of the slot to the other. The leader steps out of the slot in order to let the follower pass, and then returns to the slot after she passes. During the whole move, the leader remains roughly in the middle of the slot; it is the follower who travels the length of the slot. 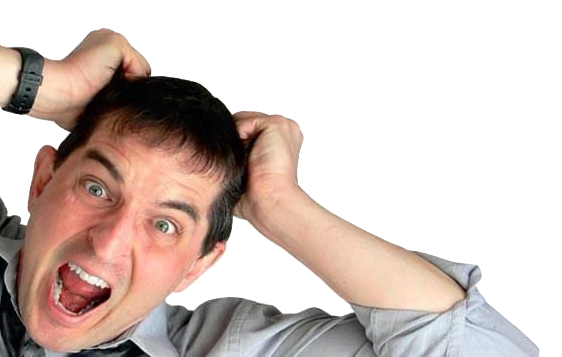 Examples of side passes include the left and right side pass, the side tuck, the inside roll, and the barrel roll. Push Breaks are also six-count patterns. In a push break, the leader stays in the slot. The follower moves in towards the leader and then is redirected back towards the end of the slot from which she came, without ever passing the leader. Common push breaks include the basic sugar push, the sugar tuck, and the push break with an inside roll to closed position. Whips are eight-count patterns. In a whip, the leader lets the follower pass, but then redirects her back to where she started. The whip action of passing the leader and then being sent past the leader again requires more time than just coming into the leader and going out (like a push break) or just passing the leader (like a side pass), and therefore the pattern is extended up to eight beats to give the follower time for her extra travel. Common whips include the closed whip, basket whip, reverse whip, apache whip, and the same-side whip. Four count triple pairs are just what they sound like: a pair of triple steps that take four beats total. In four-count triple pairs, the follower is not being led down the slot and hence has no need for a walk walk. 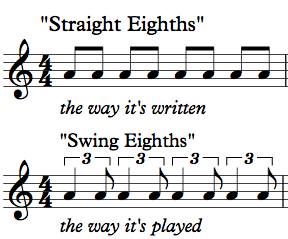 Thus, the basic six-count rhythm is shortened to just the triples. 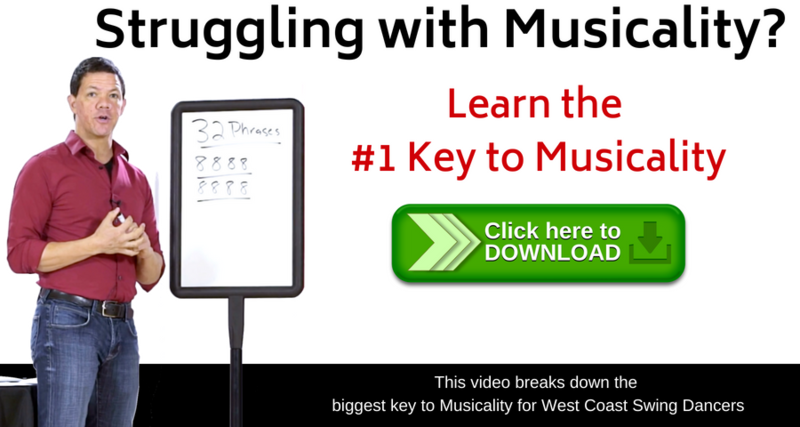 Four-count triple pairs are the foundation for starter steps and triple rhythm breaks, and are also used to create alternating triple patterns. 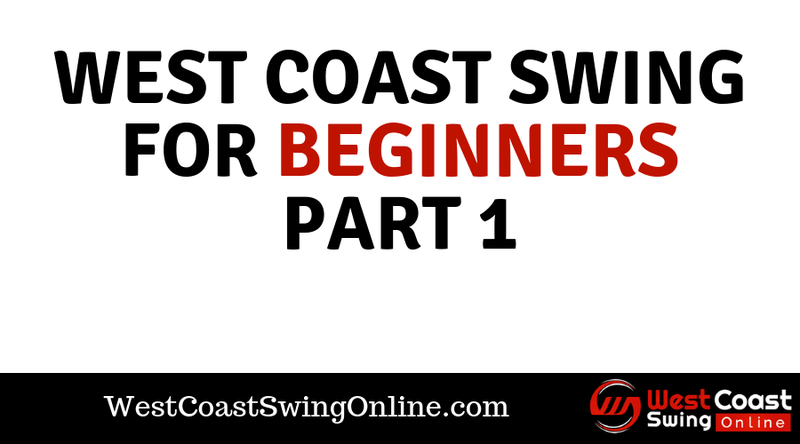 If you want to deepen your understanding of the basics and want to learn to classify the moves you see into these categories, jump to West Coast Swing for beginners part 2 below! 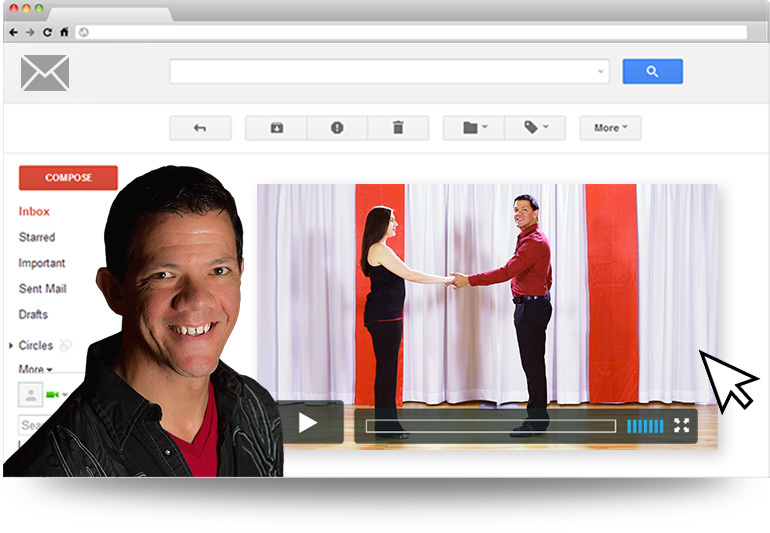 We will offer some videos for you to practicing understanding these patterns in the realm of social dancing! See the next post in this series, Fundamental Patterns Part 2! Want to ask me a questions personally?